NOW CELEBRATING OUR 20TH YEAR SERVING THE SANTA MONICA AND GREATER LOS ANGELES COMMUNITIES ! Welcome to the Santa Monica Academy of Music. Since 1997 we have been providing a personalized environment that fosters the exploration and appreciation of the many facets of music. We offer a thorough and diverse music education, with an emphasis on building fundamental skills that will last a lifetime. Our lessons are for anyone that wants to learn to make music, expand their already existing skills, or enhance their enjoyment of music. Our conservatory/university trained instructors are committed music educators dedicated to helping students achieve their goals. piano, guitar, voice, violin, viola, cello, flute, clarinet, saxophone, trumpet, mandolin, ukulele, electric bass guitar, music theory, and composition. 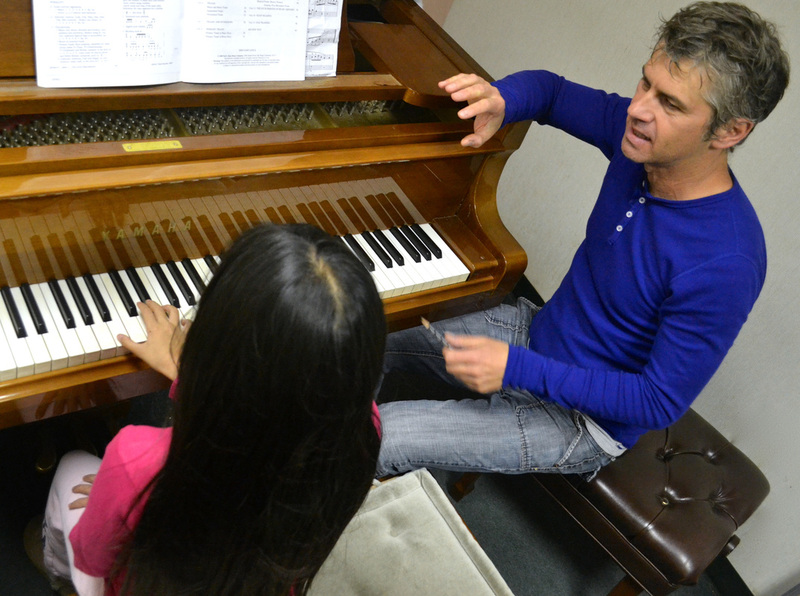 ​Personalized and supportive instruction and an understanding of the needs of both beginning and advanced students distinguishes the Academy and makes it your best choice in Santa Monica and the greater Los Angeles area for your music education needs, whether that be beginning piano lessons, advanced rock guitar lessons, traditional or Suzuki violin lessons, flute lessons, or voice training in popular, broadway, or classical styles. We are helping to keep music education in the schools! 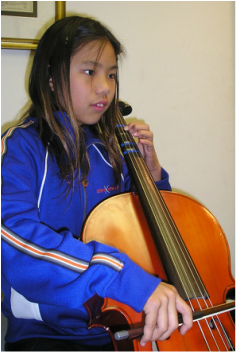 The Santa Monica Academy of Music is an advocate for stronger, more comprehensive music programs in our schools. 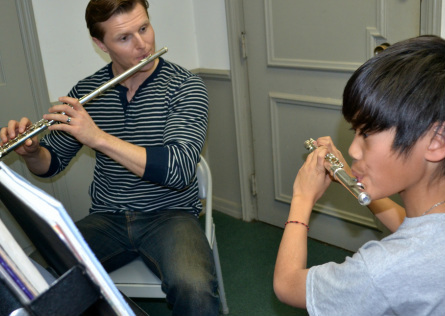 We partner with selected elementary schools to implement such high-quality music programs. Our curriculum is aligned with the California Performing Arts Content Standards and features the Orff-Schulwerk process. The Academy is responsible for all aspects of instruction, administration, and management of such programs. We are proud to provide or supplement music programs in local elementary schools, reaching over 1,000 students a week. We are proud to be part of the Begmann project, in conjunction with the Santa Monica-Malibu School District's Education Foundation. Semi-provate lessons for qualified students are offered and wholly funded by the Peggy Bergmann Arts Endowment Fund, and provide much needed instruction and support to students who are ambitious, engaged and who love music. We are proudly working with students ranging from 4th through 12th grades. "My three children and I have been going to the Santa Monica Academy of Music for over five years. My kids have become very good musicians, and their love and understanding of music has really grown through their lessons. I have taken guitar, piano and voice lessons at the Santa Monica Academy of Music and rank the instruction as of the highest quality. The teachers are really great and friendly, and you can learn all styles of music. I play classical and jazz, and my children play rock-and-roll. We all love it!!!" Richard Perlmutter, Grammy Nominee "Beethoven's Wig" and "Beethoven's Wig 2"
"The teachers at the Santa Monica Academy of Music are some of the best teachers ever! They teach you how to play music wonderfully. All of the teachers are really patient--if you make a mistake, or if you have trouble somewhere in the music-- they will work with you so you can understand it better." I appreciate the balance Ms. Jessi Spike (piano,flute, choir) brings to the musical education of young children. She emphasizes fundamental musicianship, theory, and practice without losing sight of joyful inspiration and creativity." "Our son and daughter have enjoyed singing in the Academy Chorus and Academy Singers for three years. The Director, Ms. Jessi Spike, is consistently musical, positive, encouraging, and maintains high expectations. The kids love singing in rehearsal and shine in concert. The Choruses are a great place for kids to learn how to sing--and learn to love to sing!" "Ms. Felicetta (piano) has completely restored my daughters love of learning music. My daughter came to the Santa Monica Academy of Music ready to quit after four years of instruction and is now once again very enthusiastic about playing the piano." Teacher Nina is a very special teacher. She has a gentle, soothing musicality that puts the children at ease and sparks their imaginations and confidence. She is wise beyond her years and, I think, transcends the expectations of any parent." "We are very pleased with our instuctor, Ms. Neal (piano). Her personality fits well with my daughter. She motivates without discouraging her, her directions are explicit, and she is also funny and easy to talk to." "Ms. Jessi Spike (piano, flute, choir) consistently encourages my children, especially when they encounter road-blocks and frustration in their learning. She seeks out each individual's musical interests and keeps the kids motivated and on-track." 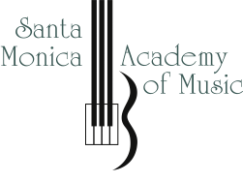 "The Santa Monica Academy of Music is definitely the world's greatest Music Academy! All the teachers are kind and friendly. I recommend coming here. You won't want to stop if you do." "Ms. Amy is the best piano teacher! She is so nice and helps me learn piano. I love piano!" 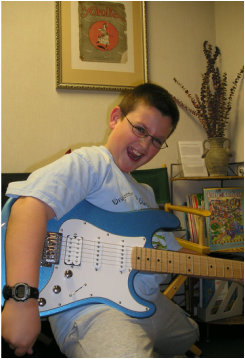 "My son took guitar lessons with Buzz for 5 years before recently going off to college. Buzz is an excellent guitar teacher that started off teaching my son beginning rock guitar (which my son wanted to learn), but then helped my son gain an appreciation of other styles of guitar, like jazz and classical guitar. Buzz really helped my son become a very good guitarist"
We proudly serve the Santa Monica, Brentwood, West LA, Pacific Palisades, Culver City, Venice, and greater Los Angeles areas.